BREAKING NEWS: Senate majority is raiding rainy day fund RIGHT NOW! They're raiding the state rainy day fund! Majority is using a "felony budget gimmick," which the State Treasurer calls a "dangerous precedent" and has urged the Legislature to reject. We received some particularly alarming news late last night, when the Senate majority unveiled a last-minute, secret plan to do an “end run” around the state constitution in order to irresponsibly raid the state’s emergency rainy-day fund. Although state government expects to take in $2.3 billion in additional tax revenue, the Senate Democrat majority is still looking to raid budget reserves using what has been described as a “felony budget gimmick.” The proposed amendment to Senate Bill 6614 violates the spirit and intent of voter-approved protections that place extraordinary revenue growth into the budget stabilization account. Voters in every county approved a constitutional amendment (Senate Joint Resolution 8206) in 2011, to protect extraordinary revenue during times of strong economic growth. Using the money generally requires a 60 percent vote in the Legislature. The Democrats’ proposed amendment to the bill would get around this by funneling $935 million in property tax revenues to the education legacy trust account. Redirecting the funds lowers general-fund revenues, which circumvents the spirit of the law by reducing the amount of money going into the rainy-day fund by more than $700 million. After the majority’s plan became public our state treasurer, Duane Davidson, briefed our caucus about the devastating impact such a move would have on the state’s bond rating. He was outraged. “We’re extremely concerned with today’s proposals to divert $700 million from being deposited in the Rainy Day Fund. Choosing to not save today when we’re experiencing extraordinary revenue growth guarantees that our budget problems will be much greater when the next recession hits. …“It is very short-sighted to seize $700 million in a diversionary raid on the Rainy Day Fund as proposed. This is unacceptable. …“Here in Washington we rarely think of looking to California as an example of fiscal prudence. 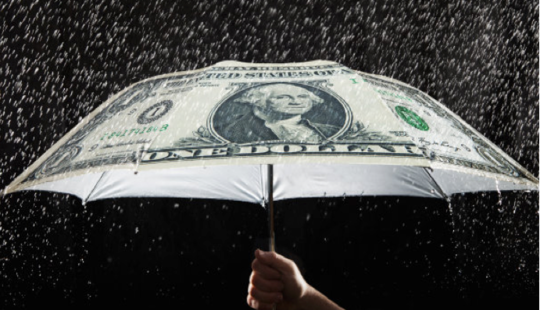 Governor Jerry Brown and California propose adding over $5 billion to their own Rainy Day Fund this year. Even California is doing the right thing! We can too. We need to get serious about saving and we need to keep building our Rainy Day Fund in this budget. …“If the Legislature chooses to ignore the will of the people and instead tap into what should be Rainy Day Funds – then it should prioritize paying down debt. Our unfunded pension liabilities are our most expensive debt. Washington State’s total pension funding is at roughly 84% of its obligations. The majority delayed a vote on the amendment until today, and indeed, it is being debated at this very moment. I will keep you informed as things progress on this important issue.